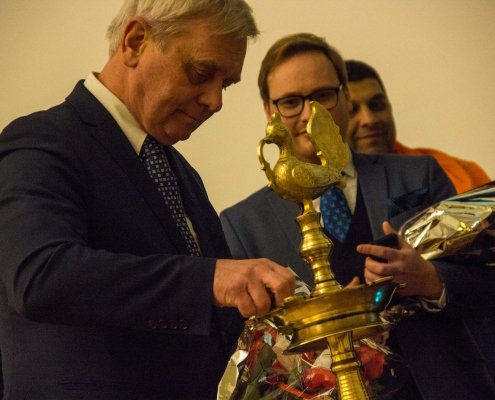 On January 26, 2019, at 18:00 the celebration in honor of the 70st Republic Day of India was held in the great hall of Riga Technical University. 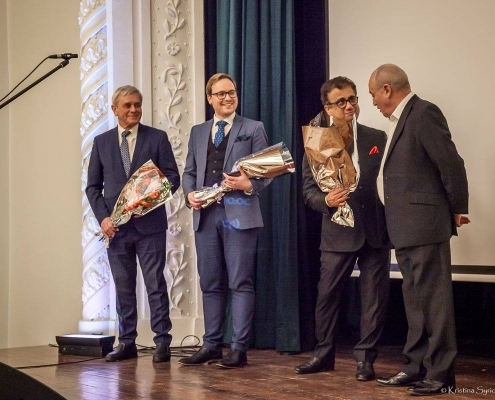 In cooperation with Indian Movies in Baltics – SIA Darbar Evening Show Entertainment, Banana Leaf Restaurant and Papaya Cinemas, the event was organized to bring together the Indian community gathered in Riga, which currently exceeds one thousand people. Around 200 visitors attended the celebration, which is a great number representing the community. The event kicked-off with the traditional lighting of the lamp by the guests, followed by the Indian national anthem. Among the special guests, there was the Director of International Cooperation and Foreign Students Department Igors Tipāns, who gave a heart-warming welcome speech to the audience. Other guests were Miks Celminš, the Director of Make Room Europe and Sunny Motwani, the owner of Indian Raja. 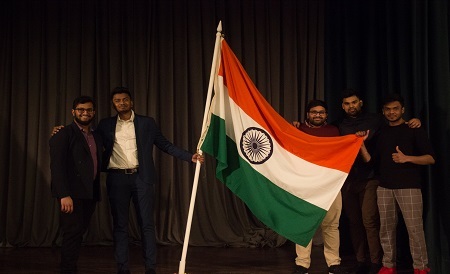 The event consisted of three parts where in the official part all the participants were introduced about the importance of the Republic Day and the significance of celebrating it. The second part was a contribution of both Latvians and local Indians who gave magnificent performances in order to amaze the spectators by showing the beauty of the Indian traditional dance, singing and heart-touching melodies. The opening act by Latvian Odissi dancer Aija Devi was based on Guru Vandana, a musical piece that talks about life, death and auspicious emptiness as supreme teachers. This was followed by a solo acoustic guitar and singing performance by Kalpesh Vasoya, student of RTU. 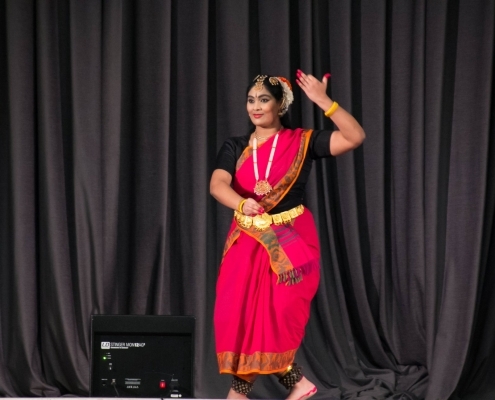 Third in line was Vishnu Priya, who gave the audience a soulful Bharatanatyam performance. Aija Devi once again took the stage, but this time along with tabla player Balraj Singh and danced to the song Battu, which speaks of the mystical sound Om and the rhythms of life and death as played by the divine musician, Lord Shiva. The talented dancer Avikk performed the final act of the night. The third part of the event gave the participants an opportunity to enjoy the traditional Indian snacks with hot masala tea made by the Indian restaurants. The idea behind the celebration is to develop the Indian community, to encourage not only locals but also foreigners to engage in the future cooperation in the event-making activities and to provide deeper insight in the Indian culture. Republic Day honors the date on which the Constitution of India came into effect on January 26, 1950. While India gained its independence from British Rule on August 15, 1947, the Republic Day celebrates the coming into force of its constitution, completing the country’s transition toward becoming an independent republic. This year marks the 70th anniversary of this landmark day for all Indians.